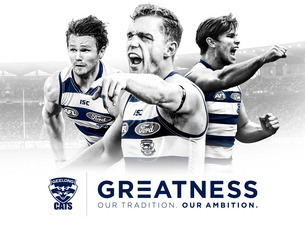 Before I start with the weekly recap - it'd be an injustice not to give a quick shout out to the beloved Geelong Cats as they start their quest for glory tonight against our arch-nemisis Hawthorn. For most of you I'm sure that means nothing, but as an australian its a big deal when the AFL finals start and I've got a sneaky suspicion the cats may just do alright this year, but onto board games we go! Odin's Ravens: 2 Player games are some of my favourite games. First, they are often easier to get to the table and not matter how good a game is - if it doesn't make it to the table its a bit of a waste! But along with being easy to get to the table, I love the 'me vs you' nature of them. Odin's Ravens is one of my newer two player games and while I find it more on the relaxing side of tension, it certainly have its moments as the race often gets down to the wire. Odin's Ravens plays simply, looks good and mixes it up by putting players on an equal level with both players having the same cards, but leaves it to the player which type of cards to take into their hand (Odin cards or land cards) and players quickly can have very different looking hands. When the end game comes around, most of the time you've done very similar things as your opponent just at different stages in the game but I still find Odin's Ravens a decent two player game that fortunately my wife enjoys making it even easier to come out onto the table. Expect a review after a few more plays. Lords Of Waterdeep: I have played a few worker placement games but Lords of Waterdeep is the first one to make it into my library and it's already been worth it. Two nights of Waterdeep this past week and everyone seemed to enjoy both nights. Not sure I'm the best at explaining how to play this one as both groups seemed to think it was going to be a complicated game, but like most games once you start playing everyone realised Waterdeep wasn't complex and played out fairly quick. As often discussed, the theme is fairly pasted on with most players calling the cubes by their color rather than their type and players just looking at quests by their cost and their reward.. but my initial thoughts of this game are very positive and I'm looking forward to playing some more! Istanbul - Had this on my to get list for a while so finally decided to pull the trigger and add it to the collection. As I already mentioned above, a good game for me is one that I can regularly play and from what I can tell of Istanbul, it will certainly meet that criteria. Light-Mid weight, easier to learn, quick to play, up to five players (6 players is ideal for me, but 5 is a must for our main group) and some different board game mechanics made Istanbul a purchase for me, as well as generally positive feedback. There's some stiff competition to overcome at the moment with the final month of Pandemic Legacy to be played out, as well as Lords of Waterdeep, Roll for the Galaxy and Codenames all having been recently introduced to our main playing group and all being requested to get played again - however I'm confident I can sneak Istanbul in shortly for a few plays..